Ship Notes: Item is in stock! 2-YEAR Warranty on Parts and Labor! SC5745B Sanitaire Quiet PRO Force Commercial Grade. The Preferred choice of Home Owners, and Professional Cleaning Crews to clean Hotels, Office Buildings, and Restaurants. NEW VACUUM, 2-YEAR Warranty on Parts and Labor! On sale for $209.00, With 2-Year Warranty on Parts and Labor. The SC5745B Sanitaire Quiet PRO FORCE upright with dirt cup provides an exceptional clean certified with the CRI Bronze Seal of Approval. Lower your cost of ownership with a Bagless dirt cup. Featuring a sealed HEPA system with included HEPA filter to capture 99.97% of particles for cleaner emissions. FORCE is LEED Qualified for daytime cleaning with a sound level of 69 dBA. Includes on-board tools and stretch hose for above-the-floor cleaning. The Sanitaire SC5745B is measured at 69 dBA, Sanitaire premium line of QuietClean machines provide 24/7 any time of the day cleaning at 70 dBA or less which is equivalent to the noise level of a human conversation. 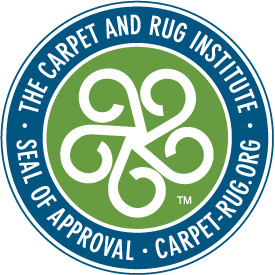 We commit and deliver an exceptional cleaning experience backed by certification from the Carpet and Rug Institute (CRI). SC5745B is certified bronze. Clean quietly and efficiently during the day with our 70 dBA or less machines to help businesses keep energy costs down and maintain their LEED certifications. SC5745B is measured at 69 dBA. The Sanitaire model SC5745B uses a Bagless cyclonic system with the largest dust cup on the market. It cleans more without needing a bag change. The SC5745B Sanitaire vacuum is designed to be maintained easily, this advanced vacuum is equipped with Washable Sealed HEPA filtration means that 100% of the cleaner exhaust is filtered at a rate of 99.97% to capture 0.3 micron particles. Quiet, Durable, High Performance Bagless Vacuum. The SC5745 Sanitaire Quiet PRO is not like a regular household vacuum cleaner, this Commercial Grade vacuum is powerful, extremely durable and is built to last for many years. Easy empty Dust Cup, 3.5 dry qt capacity, one of the largest Dust Cup in the industry. Operating at 69 decibels, the SC745B features Sanitaire Quiet Clean Motor allowing you to clean 24/7 without disrupting the environment around you. SC5745B features a Washable Sealed HEPA Filtration System which means that 100% of the air coming out of the cleaner exhaust is filtered at 99.97% to capture dust and allergen particles down to .3 microns in size- that's 240 times smaller than a human hair. The Dust Cup Filter is washable and may be cleaned in warm water, dry and ready to use. On-board tools include a large diameter stretch hose that resist clogging and reduces unexpected downtime for repairs. The hose stretches to 10 feet for maneuvering in large areas. Furnished with wand, crevice tool and dusting brush. GO Green, Industry approved, exceptional results. SC5745B is CRI Green Label Certified and Meets LEED Requirements. back into the room. Select Green Cleaning vacuums have passed rigorous performance tests to earn CRI Green Label™ approval and meet LEED criteria. Sanitaire SC5745B Quiet PRO come with enhancements such as the new TrueBalance brushroll and innovative dampening system that provides smooth operation for quiet performance. Additional features include on-board cleaning accessories, a steel handle, a quiet commercial grade motor and a 13-inch cleaning width. Model SC5745B has one of the largest, most convenient dirt cups in the industry. The Sanitaire model SC5745 uses a Bagless cyclonic system with one of the largest dust cups on the market. It cleans more without needing a bag change. Cleaning a room from floor to ceiling has never been easier with on-board accessories for a 10-foot reach, a wide air path to reduce clogging and a 13-inch cleaning path. For top cleaning performance with less aggravation, consider the hard-working Sanitaire Sealed HEPA Vacuum System, model SC5745. UL listed for commercial use.